Roti Rollers is the answer to all our collective phulka prayers. Because boys and girls, the good folks at Roti Rollers want to make our lives easy by providing piping hot and fresh phulkas, parathas and more. All you need to do is to cook your chicken curry or dal and they will do the needful for your carb intake. Let’s face it making rotis can be a pain. It is not the easiest thing in the world. And when you live alone and want to cook something, by the time you reach the roti-making stage, you are so tired that all you can do is to pressure cook rice. Whether you want to order one time or even go for their prepaid service, Roti Rollers can provide rotis for you as you please. Apart from phulkas, these guys also make home style chappati or plain rotis, plain paratha, a wheat roti lightly fired in oil and even stuffed parathas such as aloo, gobi or paneer. The rotis are made using wheat flour, filtered water and oil, and from an open kitchen run by women. Their website says that Roti Rollers is an initiative for women, by women. The service currently operates only in Koramangala and HSR Layout. 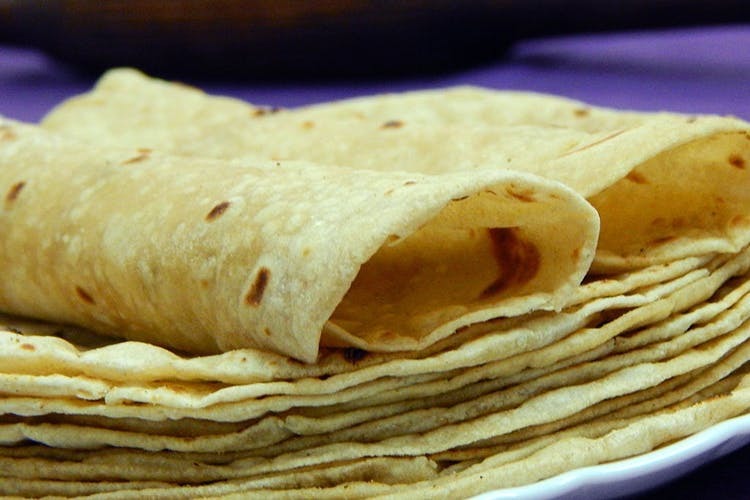 The rotis start as cheap as INR 4.90 and we think it is a good deal, especially if you are opting for a monthly plan. So no more crying now over your roti that looks like a map of India or making a filthy mess in the kitchen — just dial a roti guys!